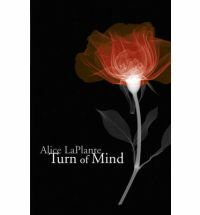 Turn of Mind is a very powerful book, but it is not what I would call a crime novel. Dr Jennifer White is a 65-year-old orthopaedic surgeon who specialises in hands. She’s suffering from dementia, so has had to take early retirement. She lives in her lovely old Chicago home with her live-in carer, Magdalena, and has two grown-up children, Mark, a lawyer, and Fiona, a financial analyst. Jennifer is an intelligent, focused woman who has made a great success of her career, not only as a leading surgeon but also as a tireless volunteer helper in a centre for those who don’t have medical insurance. This account may not sound that compelling, but the novel grabs you from the very first sentence, and does not let go. Why? Because it is told from Jennifer’s point of view, as her mind decays and she struggles to stay in control of her life while being all-too-aware of what is happening to her. She uses various aids to keep track – labelled photographs on the wall, and a diary which she and her visitors and carer write in, so she can read back and try to keep some cohesion in her turbulent experience. The authorial hand, however, ensures that the book never rambles or confuses – there is a discipline to the fractured prose of the novel, and a lack of sentimentality or self-pity, that ensures the reader is both gripped and can follow the events of Jennifer’s past and present life. The author’s style is simply superb, as she presents an utterly convincing and moving account as the Alzheimer’s disease from which Jennifer is suffering causes her memories to jump in and out of timeframes. Sometimes Jennifer thinks she is a young woman, even though we gather from the reactions of those around her she is ravaged and a physical mess as she cannot cope with dressing or realising when she is wearing her night clothes or even nothing at all. Her relationships with her adult children are particularly well-drawn, as they cope with their mother’s current erratic mental state while still reacting to her on an emotional level as the parent they knew before the illness. The crime plot is woven into Jennifer’s memories in the sense that her only and longstanding friend and neigbour, Amanda, has been found murdered. It seems as if Jennifer was the last known person to see Amanda alive, and the mode of her death causes the police to suspect Jennifer’s involvement. Of course Jennifer cannot remember whether or not she is involved in the death: quite often she can’t even remember Amanda. But Jennifer’s haphazard reminiscences provide the reader with a gradual picture of what Amanda was like and the dynamics of her friendship with Jennifer’s family. One of the police detectives investigating the murder had a partner who had suffered from Alzheimer’s, so she is particularly sensitive and adept at eliciting information from the puzzled suspect, despite the attempts of Jennifer’s family to protect her. Eventually, the police close in as the illness continues to exert its inevitable iron grip, told in a couple of relatively short, tragic sections at the end of the book (which is divided into four parts broadly reflecting Jennifer’s state of mind and living circumstances). I very highly recommend this novel. Although its main subject is a harrowing one, and not one that many people might want to read about, the treatment here is marvellous, largely because of Jennifer’s spiky personality and her refusal to become a victim of her illness – most particularly shown as she retains her specialist medical knowledge despite her general mental decay, which she either uses verbally or notes to herself her diagnostic reactions to people she meets. Jennifer is a haughty woman who is rightly proud of her professional success. Throughout her disease she retains this world-view, however inappropriate it is to her current physical and mental circumstances, insisting (with weakening force) that people she meets call her by her title and not by a patronising diminutive, for example. The amateurish crime plot is not really relevant to one’s enjoyment of the book (though the telling of a police investigation through the filter of Jennifer is fascinating! ), providing perhaps a slightly artificial framework and sense of climax when what is really the most interesting aspect of the novel by far is Jennifer’s relationship to her illness and her general determination as a character. Despite initial reservations, I am very glad I read this novel and highly recommend it to anyone, whether or not they like crime fiction. I thank Karen of Euro Crime for so kindly providing a proof from the publisher. I particularly like the cover of the UK edition (the US edition seems to be different), which is doubly relevant to the story in its depiction of a flower and its sense of the milky haze of the tangled filaments of the neurons and plaques that underly Alzheimer’s disease. Although the book is not published until July, there are some early, glowing reviews available at Bibliophile by the Sea, Simple Pleasures book blog, and Book Reviews from an Avid Reader. This does sound good! It sounds so rich in ideas that maybe a strong plot would distract from them too much. I shall put it on my wishlist to read…one day. This one sounds dangerously tempting. Have you read Margaret Laurence´s The Stone Angel which is also a gripping story about an old woman whose memory is slipping? Not crime, but a story that looms high on my list of the ten best books I´ve ever read, also for the story about first and second immigrants in Canada. No, I haven’t read that Dorte, thanks for the tip. It wasn’t a book or subject that I particularly wanted to read (about), but in retrospect I enjoyed it. Not sure that I want to read another similar just immediately after this one, but I’ll certainly add your suggestion to my list. Thanks, Clare, agreed this book was pretty powerful without the need for a “plot” other than the character’s progression which was dramatic in itself (but internally, in her mind). Maxine – This does, indeed, sound like a very strong novel. It takes a deft hand to tell this kind of story from the point of view of one who is losing her grip on time and memory, but it sounds as though that’s what makes it all the stronger. It also sounds like the sort of book that comes back later and haunts one so that one keeps thinking about after the reading is done. I appreciate both your excellent review and the recommendation. I had heard of this but am wary of the subject matter as I’m watching my father go through the early stages of this disease and it’s very difficult but I actually do like the sound of reading a book which tackles the subject head on and without the sufferer becoming a hapless victim. Thanks very much for the recommendation. Thank you, Bernadette and Margot, I appreciate your kind comments. My sympathies, Bernadette. Thanks – this novel sounds amazing, and I’m promptly adding to my TBR list. I have to say, I admire authors who take on this kind of daring writing project. I imagine it would be very easy to ‘get it wrong’ with such sensitive material, but it sounds like LaPlante has made a success of it, and found a compelling narrative point-of-view in the process. I recently watched the three-part drama ‘Exile’ – some similarities there, with details of a crime locked in the head of a father with Alzheimers (played brilliantly by Jim Broadbent), and a son trying to find ways to extract them. Thanks, Mrs P. I watched Exile, too (amazingly) – great acting but plot….hmmm….Timothy West must have been crying all the way to the bank for the use they made of him, talk about a hammy script for his bit. Broadbent and Sim were great and the actress who played the sister best of all I thought, but I was disappointed in the clunky plot elements. That is a gorgeous cover illustration! I don’t think I would have been tempted to look for this one based on the jacket blurb alone, but I’ve added my name to the library queue since you had such a good experience reading it. It’s not a subject I’m drawn to–am a little too afraid of that happening to me when I’m older, so it’s difficult to read about. I have to ditto Dorte–Margaret Laurence’s Stone Angel, if you are ever of a mind to read it, is excellent. It ranks high in my list of well written books. I am reticent (scared) to read books about ill/declining health, too, Danielle, but this one was so good, I think because the character was so strong, the illness never defined her even though it affected her so much.